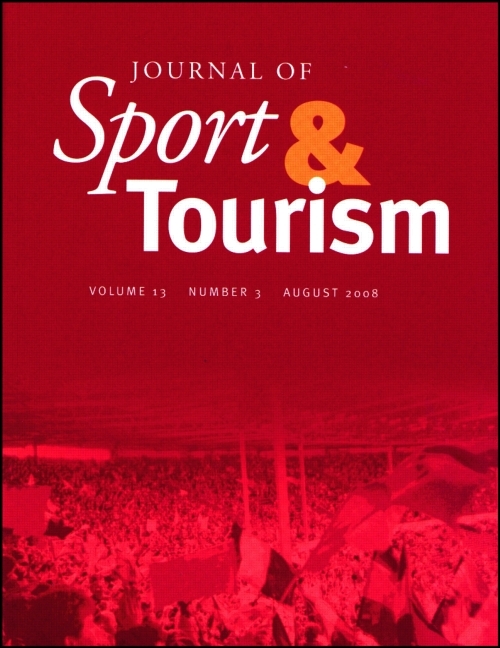 The Journal of Sport & Tourism is approaching its 20th Anniversary Year. To mark this anniversary four special issues of the journal are planned over the next two years focusing on the ‘The Big Questions’ for research into sport and tourism. This, the third special issue will focus on theory for sport tourism. Although the preceding decade has seen concerted efforts to develop a more theoretically informed understanding of the field, a clear body of theory to inform research into sport tourism remains elusive. Concepts such as serious leisure and the travel career ladder have been adopted from wider leisure and tourism studies, whilst disciplines such as social psychology and geography have brought contributions to sports tourism informed by the theory of planned behavior and the concepts of place and space. However, these have tended to be isolated studies, and the extent to which concepts and theories from different subjects and disciplines might complement or supplement each other, or be used systematically over time to develop a body of theory to support research into sport and tourism, has not been explored. This is not to suggest that there exists an overarching theory that explains all related manifestations in the field, but rather that there still remains a good deal of untested models and theories which may help illuminate the very special interaction that takes place between sport and tourism. Furthermore, there have been concerns that contributions to the field have been somewhat gender specific, and that the present theoretical landscape has been dominated by largely western literature and world views. What is needed is a plurality of voices that may first, impact upon hitherto unexplored ontological and epistemological approaches whilst, second, adding to the bank of theories currently utilized by the field. • Expand and/or augment current theory adopted in the literature. This may focus on one or more of the key features of sport tourism research. • Introduce and/or apply relevant interdisciplinary theory to the sport tourism domain. • Provide alternative voice(s) to the study and understanding of sport tourism. This may stem from (though not limited to) studies that focus upon gender and or culture. The abstracts will be reviewed by the editors and selected authors will be invited to submit full papers via the on-line system and blind review process. Deadline: before 15 January 2016. Questions: Via email to any of the three special issue guest editors (see below). Full papers will be invited upon review of abstracts. Full papers should be submitted through the Journal of Sport & Tourism online submission system for double blind peer review. Please indicate that the paper is submitted for consideration for the Theory and Sport Tourism special issue at the point of online submission. The Guest Editors welcome approaches from authors who would like to discuss potential papers for this special issue. Please don’t hesitate to contact us directly for more information, or to circulate this call for papers to interested colleagues. By Gregory Ramshaw in Uncategorized on October 2, 2015 .